When I was twenty-years-old, some friends and I made our way up toward Liberty Bell Mountain in the North Cascades. We had climbed a few multi-pitch routes prior to that, but this was going to be one of our first real alpine multi-pitch climbs. We approached in the late afternoon with the intent to bivy. That was the night that a marmot tried to cuddle up with me in my sleeping bag. I awoke with a shout, just as scared as the little furry animal as it darted away into the night. The next morning we made our way up to the Beckey Route. I remember thinking that it was hard for the grade, which is something that I still think over twenty years later. I remember my partner being terrified on the rappels, even though they're not that exposed. And that's about all I remember from that first ascent of the route. Since then, I've climbed the route literally dozens of times. I'never camped below it again. The route is totally reasonable from the car and back in a day. But it remains an incredibly fun line. base of the route. Luckily, we were able to climb past it and up into the sun. 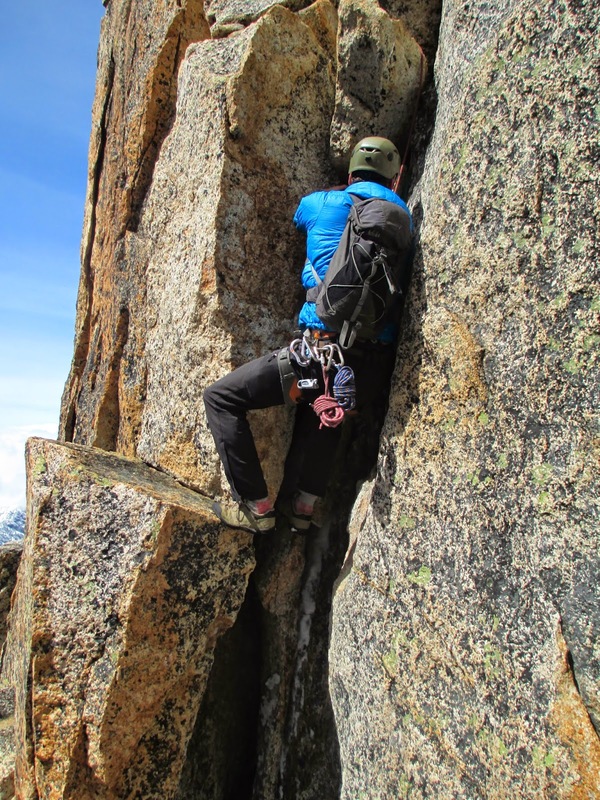 This is a photo of a climber leading the first pitch of the route. As this is an easy photo to get, it is a popular spot to take an iconic photo. 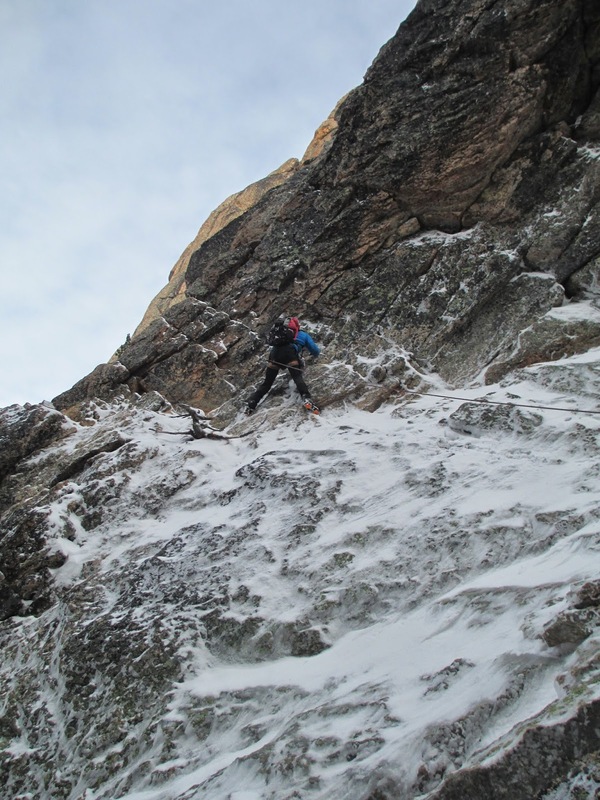 AAI Guides James Pierson and Jeremy Wilson high on the Beckey Route. Jeremy is on a variation in this photo. Climbers moving down the upper part of the mountain. The AAI Guide Class of 2012, on the summit of Liberty Bell.